Cables and harnesses are used everywhere, but some applications are more important than others. A cable breakdown can cause anything from a LED switching off to - in worst scenario - a plane crash. So for the most crucial of cables, especially transportation, aircrafts and satellites, Nexeya has produced an impressive solution called WiDD (Wiring Defect Detection). The tester was developed originally for Airbus, and is used where cables are the most vital. This also means that there are great customizable options for the WiDD as it is used differently by every customer. 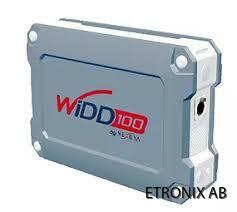 The standard WiDD 100 includes 64 separate channels and goes all the way up to 1024 channels for customized systems. All in all, the WiDD an excellent tool for control, monitoring, repairs and maintenance of your cables and harnesses.